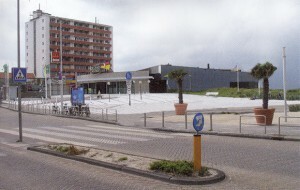 Badhuisplein is the square which stands in front of the present Holland Casino. During the 1930s some of the names of Zandvoort were changed following the new look brought by recent building work. 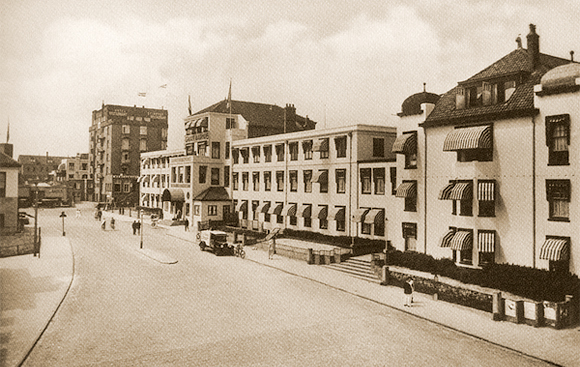 The Groot Badhuis hotel had become justly celebrated and, in token of this, the square in front of the hotel was officially named after it. The hotel had been originally built in 1828 and boasted its own baths, and guests could take alternating hot and cold dips in water from the sea. According to doctors of the time the healing properties of this iodine enriched water had only beneficial effects on people’s health. 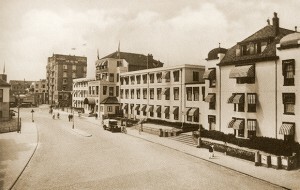 With more and more people taking advantage of such facilities the hotel had to regularly expand its accommodation so that, at the time of the hotel’s demise in 1943 under the German occupation, it had – in addition to the necessary staff quarters – about 100 rooms, a theatre and a large restaurant. It was decided in 1966 that the square should keep its name as a reminder of the famous Groot Badhuis hotel.